Ship Notes: IN STOCK! and Fast Free Shipping. NEW Vacuum and Fast Shipping via FedEx! Commercial Cleaning with a Powerful Motor and Extra Wide Cleaning Path. SC899F is packed full of powerful, easy to use features, Sanitaire's extra wide commercial upright, reduces cleaning time and is UL commercial listed. The SC899 has EXTRA Wide 16-inch cleaning width that allows the user to clean more in one pass than other commercial uprights and features the Shake Out Bag System. 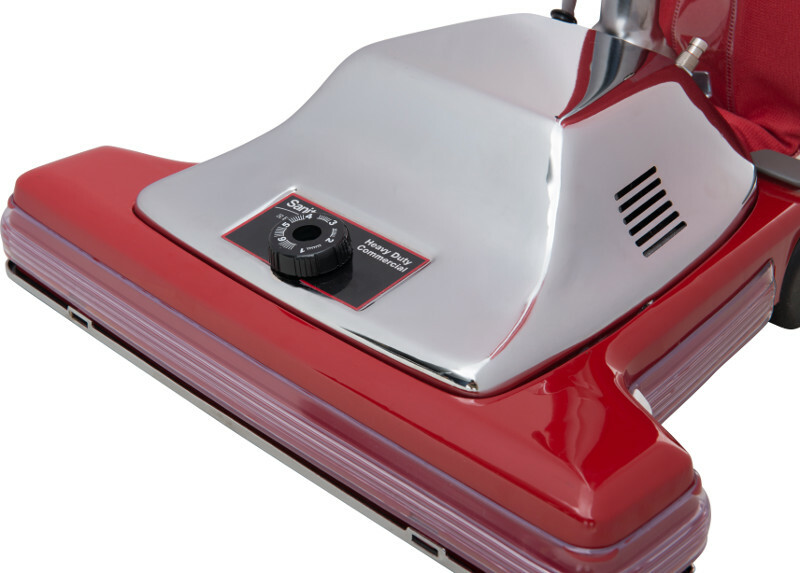 SC899F features the exclusive Vibra Groomer II Brushroll which loosens dirt that is embedded into carpets. The removable Quick Kleen transparent fan chamber makes cleaning or changing the fan fast and easy. With a chrome steel hood, 50-foot power cord and 6 carpet level positions, large rooms will be cleaner in less time. 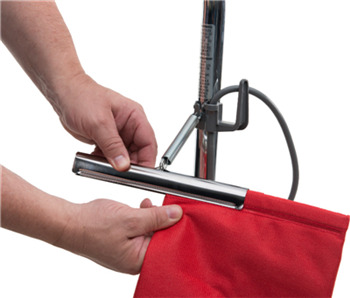 SC899F features the no-tools bag release system with easy to remove metal bag clip make emptying easy and saving money on disposable dust bags. To empty, simply remove the bag with the quick-release clamp system, slide off the bag clip on the top and shake out the dirt. Put the assembly back onto the machine, and you are back on the job cleaning. The Sanitaire Shake Out Bas can handle a huge 18-quart volume. High capacity Bags mean fewer stops for maintenance. Large rooms will be cleaner in less time with the SC899F EXTRA Wide 16" Cleaning Path and a 50-foot power cord that cleans a larger area without the need to change outlets. The six carpet level positions adjust to all carpet heights for maximum cleaning. 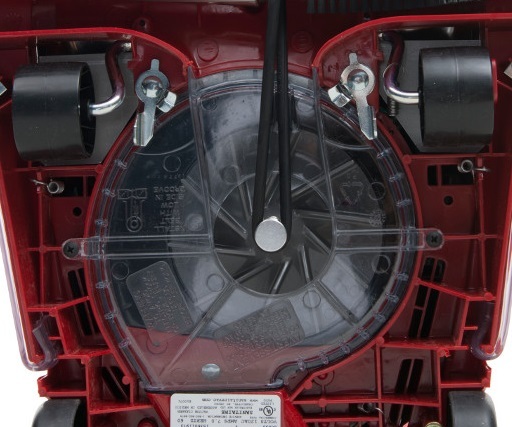 Cleaning and changing the vacuum fan is fast and simple with the removable Quick Kleen® transparent fan chamber. The Sanitaire chrome hood covering helps extend the life of the machine. For a heavy-duty and dependable commercial vacuum that cuts cleaning time and cost, consider the Commercial Grade UL listed Sanitaire upright, model SC899F. 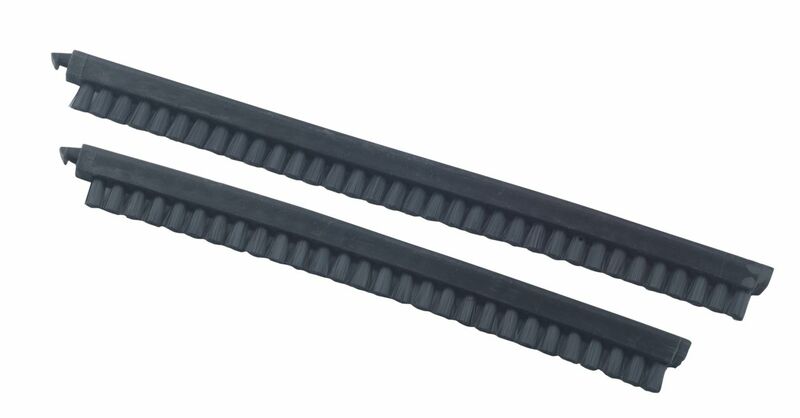 This tough, Aluminum-Steel, Diamond shape, double ball-bearing brushroll is built to withstand commercial use. 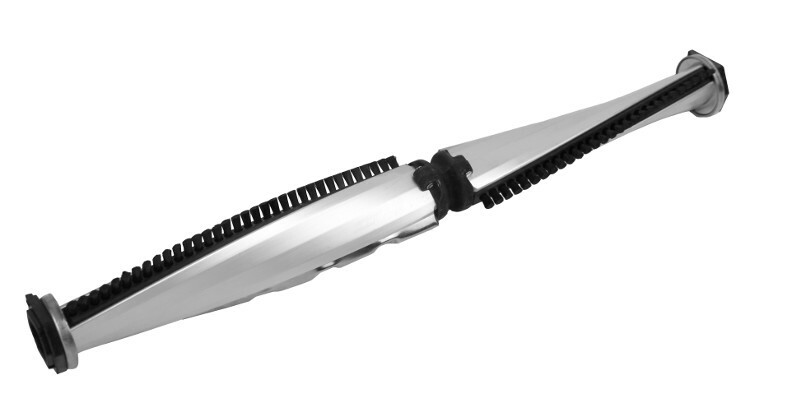 Choose from all bristle or bristle/beater bar combination. Why replace the brushroll? Save costs with replaceable bristle strips. We have re-engineered our motor to include integrated bearings and an enclosed carbon brush system. these enhancements result in a motor life of more than double that of our previous long-life version, and in reduced maintenance and downtime. 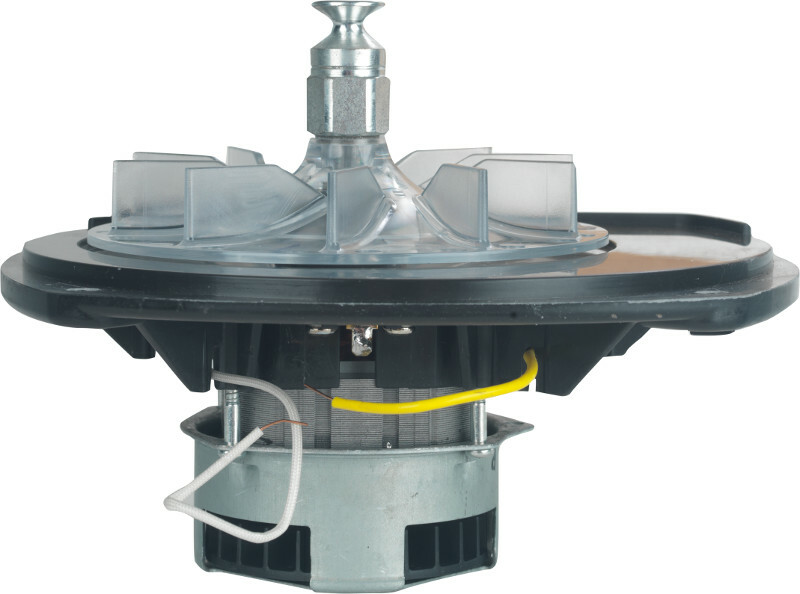 This clear polycarbonate cover allows you to view, service or access the impeller fan without removing the motor, saving time and reducing maintenance time. No Tools bag release system with easy to remove metal bag clip make emptying eay. Vibra Groom II, Double ball bearing chrome steel with replaceable bristle strips.